Some of you may remember where this beautiful road lined with bluebonnet runs, but I can’t remember. 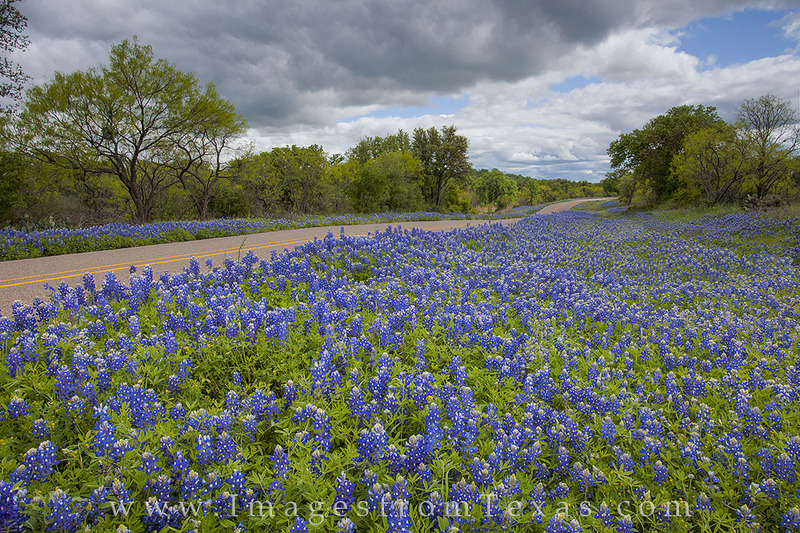 I know it was north of Mason somewhere and the sides of this stretch of asphalt were lined with oceans of bluebonnets. Photo © copyright by Rob Greebon.